Find out about what is happening in each class by searching under your child's year group on our website! Brighton Council would like to invite you to take part in an exciting Meerkat Discovery Trail created by the School Travel Team at Brighton and Hove City Council. Seven meerkats have been let loose in central Moulsecoomb! Are you ready to take up the challenge and find them? This mini-adventure has been designed for children between the age of 3 and 6 and their families but anybody can take part, whatever your age! The trail is all about having fun, enjoying being out and about together and learning about local places. There are also stickers to collect along the way! The Meerkats will be waiting for you to find them from 25th March to 2nd June. At each location, remember to write down what the meerkat is holding for a chance to win a micro scooter or a goody bag! For more information, have a look at www.brighton-hove.gov.uk/meerkat-trail where you can download a copy of the activity booklet. Come and join us for a Meerkat Get Active Day between 10 am and 1 pm. There will be lots of fun activities and games for children, and an opportunity to meet Piers the Meerkat himself! You can also pick up a Meerkat Discovery Trail activity booklet and if you return the competition form to us on the day, you will be offered a small prize just for taking part! Hope to see you there! Check out our brand new Walking Zones Map! On Thursday 7th March we celebrated World Book Day in school. The children looked especially wonderful this year in costumes as diverse as DogMan, Mary Poppins, Little Red Riding Hood and Willy Wonka. The teachers all dressed up as Where's Wally. Can you spot who's who in the pictures below? We did lots of book related activities during the day including Drop Everything and Read. Whenever the bell rang, everyone in the school had to drop what they were doing and read a book. At the end of the day the children got to choose a story they'd like to hear. All the adults took part in reading to the children. Among a huge choice of stories, Julie read a scary story in her office, Anna read 'We're going on a Bear Hunt' in Karen's cottage and Lauren was inundated with Harry Potter fans, keen to hear her read 'Harry Potter and the Philosopher's Stone'. On Friday 1st March we welcomed author James Campbell to Middle Street. James has written many funny books for children including the 'BoyFace' series. He told funny stories and talked to us about being a writer. We all wore stripy clothes to link in with a recurring theme in his books. In the afternoon we took part in an Art project, looking at the stripy paintings of artist Bridget Riley. The children then created their own optical illusion Art designs. Thank you to the Riot Act, who performed for Years 5 and 6 on Wednesday. The children learnt a lot about road safety and air pollution. The Grand Total raised by Middle Street for the NSPCC was £740.61. Thank you for your support! 15/2/19: please donate £1 and wear a woolly hat in school to support the Off the Fence charity for homelessness. Thank you! 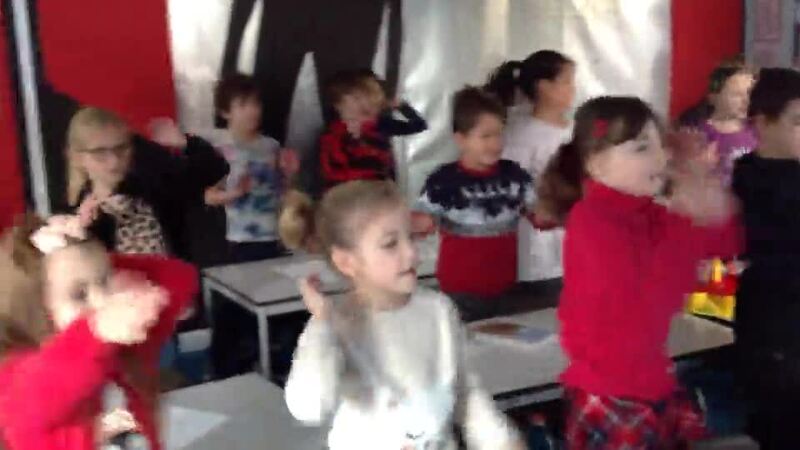 Thank you to all of the children who took part in our Danceathon for the NSPCC yesterday! 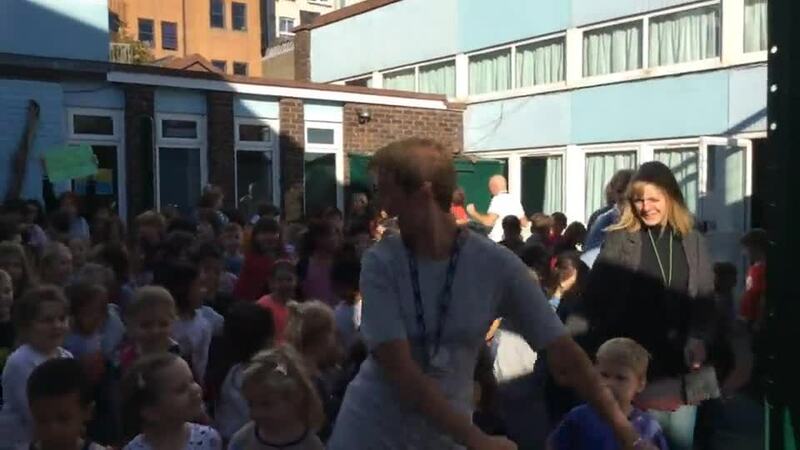 On Thursday, the whole school took part in a Sponsored DANCEATHON for the NSPCC and lots of fun was had by everyone! If you would like to sponsor your child, please return their sponsor form and money to school by TUESDAY 29TH JANUARY. Thank you. Little Green Pig are offering a writing club to our children from Year 3 and up. It is a six-week graphic novel project working alongside the professional illustrator Ottilie Hainsworth, who will inspire and mentor the club members to create their own mini graphic novel page, to be published within an anthology by Easter. If your child wants to take part, ask Lauren (our Year 5 teacher) for a letter. Thank you to Young City Reads for delivering fifteen copies of The Boy at the Back of the Class to Year 5 on Tuesday! We can't wait to start reading it. Due to the very high level of trespassing on the tracks by young people in our area, please watch this video before more young people are seriously injured or lives are lost. This year, our Key Stage 1 and Reception classes performed the Gingerbread Man and our Key Stage Two classes performed Robin Hood for our families and friends at the Sallis Benney Theatre. Thank you to all of our children and to everyone who worked so hard towards these fabulous shows. Today our DEAW took a festive turn with children writing letters and lists for Father Christmas. The children in Key stage 2 were so engrossed in their writing that they groaned when the bell rang and demanded extra time! Lots of children came and swapped or borrowed books from the Book Swap this week. Thanks to Dan and Nancy, our head librarians, for helping to set it up. Our next Book Swap is on Wednesday 12th December. We could do with some more books for parents and popular books for older children such as Tom Gates or books by David Walliams. Otherwise we have plenty of books at the moment so just come and borrow a couple for the Christmas holidays. Thank you to the children who have come in to school this week wearing odd socks to support Anti-Bullying Week! Good luck to our children who have entered Safety Net's poster competition about friendship and showing respect. It's Anti Bullying Week next week (12/11/18 to 16/11/18)! Please can children come in to school in odd socks every day to show their support for our theme "Choose Respect". There will be special lessons throughout the week, as well as a quiz and competition. We had a fantastic day celebrating the festival of Diwali at Middle Street! Everyone got the chance to try food that is eaten during the festival, children retold the story of Rama and Sita, as well as drawing rangoli patterns. Thank you to the parents who came in and did henna with the children. On Thursday 18th October we all stopped what we were doing, picked up our pens and wrote for 30 minutes. The children really enjoyed this opportunity to writing about anything they liked. Thank you to the Meercat for visiting us again for Walk to School Week. Well done to the children, families and staff who walked to school and took part in the Wake and Shake! They will be asking each class for three questions about air pollution which the Eco Warriors will go and research. Year 2 went to an event all about space at the University of Sussex. They even met Bruno, whose mission is to explore Mars for signs of life! This has become one of our favourite half-termly events. As always the children eagerly anticipated the bell which tells them to drop everything and write! On Monday 16th July some of the children in Years 4 & 5 learnt how to solve cryptic crosswords. Peter Stone (Vicky's dad!) loves doing crossword puzzles and came in to share his skills. The children really enjoyed the challenge and satisfaction of solving the clues. Thank you to the Woodland Tribe for our fantastic carpentry shed, as well as teaching all of the children at Middle Street carpentry skills. Well done to our children who took part at the 2018 Brighton and Hove School Games! Parents, teachers and some local artists have donated their beetle inspired works of art. All these art pieces are available to buy. You just write down what you are prepared to pay and as long as no-one bids higher....it's yours! Tammy, Audrey, Donna and others. Well done to all of the children, parents and staff who competed at our Sports Day this year! More books were borrowed and swapped after school in the playground. Luqman and Chun in Year 3 couldn't wait to start reading theirs! The next Book Swap will be on Wednesday 27th June. Come and borrow a book to read or bring a book from home to swap. On Thursday 24th May we all dropped everything and wrote for 30 minutes. The school was a quiet hum of activity as the children picked up pens and pencils and wrote whatever they liked. The children and staff wrote stories, lists, letters to friends, joke books and poems. Next week (beginning May 21st) is WALK TO SCHOOL WEEK. We would really love to get the whole school walking to school, all week. Please join us on the playground for 'Wake and Shake' on Monday morning from 8:30. We would also like you to 'snazz up your shoes!' There will be a sticker for everyone who joins in. On Tuesday we will be having a special assembly. 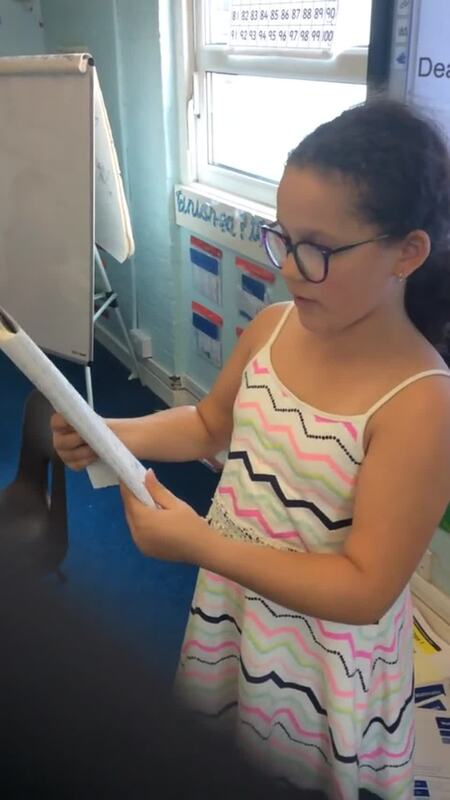 Learn the lyrics to our original Middle Street song, written by Mick Brazil, year 3 and the eco warriors, below. We held our first Middle Street Book Swap this week. Lots of children came and borrowed or swapped a book. The next one will be on Wednesday 6th June after school in the main playground. We hope to see you there! On Tuesday, our local Morris Dancing Troop visited us and danced us into the Summer. The men and women shared dances with us that originated from different places across the United Kingdom. We had a fantastic day with author M. G. Leonard. She told us all abut beetles and led Art and creative writing workshops. The children were really enthused and produced some wonderful work. The next day the children painted beetle designs on canvas which will be displayed at an Art exhibition on Friday 11th May. PLEASE COME TO YEAR 3's 'MIDDLE STREET MARKET' IN THE SCHOOL HALL FROM 3:00 ON TUESDAY 27TH MARCH. COME AND SPEND LOTS OF MONEY. ALL PROFIT WILL GO TO OXFAM AND UNICEF. WATCH THIS SPACE!! WE ARE RUNNING AN ENTERPRISE PROJECT IN YEAR 3 AND WILL BE HOSTING THE 'MIDDLE STREET MARKET' IN THE SCHOOL HALL FROM 3:00 ON TUESDAY 27TH MARCH. PLEASE COME AND SPEND LOTS OF MONEY. ALL PROFIT WILL GO TO OXFAM AND UNICEF. Tuesday 7th February is Internet Safety Day and across the school we will be learning how to keep safe online. Years 3, 4, 5 and 6 will also be doing Internet Safety workshops on Thursday 1st February. Parents are also welcome to come to a morning workshop on Thursday 1st February (9am to 10am, in the Studio). Please check out the following site. It has lots of advice about how to support your child's use of the world wide web. Here are some helpful videos for parents and carers created for Safer Internet Day 2018. The films look at what is important in digital parenting and signposts parents and carers to resources they might find useful. On Tuesday 21st November everyone in the school dropped what they were doing and wrote for 30 minutes. We could write about anything we liked and chose to write lists, stories, poems and letters. It was a very creative and rewarding experience which we all really enjoyed and are keen to do again. Some of our work is going up on display around the school, along with pictures of us all writing away! Please wear odd socks on Monday 13th November! A graffiti artist introduced a group of Middle Street children to urban art and graffiti over the half term holiday. The group produced stunning murals that can be found around our school. The murals were even designed by Gabe in Year 6 and Max in Year 5!